Someone sent this to me as a source for the long-bandied, never-seen opinion that tzimtzum is k'pshuto, i.e. that Hashem literally vacated physical space He had previously occupied. In my opinion, he is just expressing the same perspective as the Nefesh HaChaim did years later, that we must operate as if the tzimtzum is real, even though, of course, it is not. I have a very different notion of what R' Chaim Volozhiner's take on tzimtzum is. And it answers what shaar 3 is doing in a book whose other three she'arim are about maaseh, dibbur and machashavah, respectively. So, everything else is about humans, include the "peraqim", so why is there a sha'ar, in the middle no less, about the how of Beri'ah? It's needed to explain why the difference in what Torah lishmah means compared to doing mitzvos lishmah changes everything about how talmud Torah works. 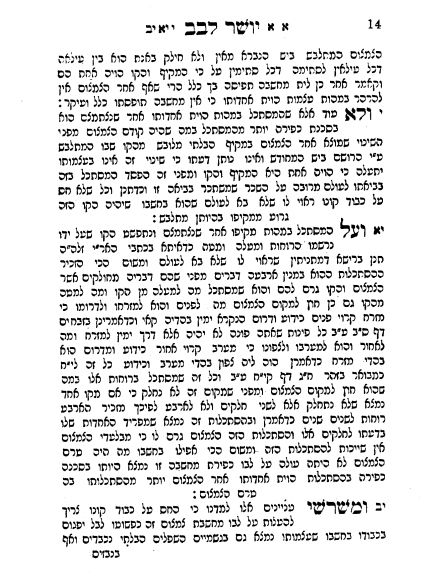 In shaar 3, RCV writes about Maqom, and HQBH's Ratzon undergoing actual tzimtzum, and the consequent apparent tzimtzum of the Ein Sof Himself. A fusion of the two warring definitions of tzimtzum. And leshaim Po'alo is to heal one, while torah lishmah is to heal the other.